Of all the Reverend Doctor Toni Petrinovich’s many truisms in her life-altering book If It Works, Use It, the phrase that has stuck with me most goes back to a passage from the Bible — from the Old Testament, to be exact. And so this cosmic conundrum has in fact troubled me for the better part of sixty years — this reckoning between the benevolent Father figure Jesus portrays in the New Testament and the brimstone-belching deity that lays waste to entire Middle East regions because they ignored (or were blissfully unaware of) one Supreme Commandment or another. Petrinovich has penned a beautiful and easy-reading text consisting of just 37 chapters to make her point. (It took the original King James Version of The Bible more than 1,189 chapters to reach a far less satisfying conclusion). And a powerful point it is. Then, she goes on to explain succinctly that “Living in this universe as an expression of Source is a day-to-day awareness of perfection no matter the situation or circumstances. “Awareness is. Awareness is not positive or negative, nor does it hold specific beliefs. It is not creating a condition of right or wrong, good or bad. And thus, in just a few well-chosen paragraphs, she both explains God’s perception of the human condition from His lofty eyrie of unfathomable inscrutability and, in the same few breaths, observes that the phrase “I AM” has become woefully misunderstood. If it is, in fact, such a blameless place as Dr. Petrinovich portrays, it seems He could have merely said as much and saved centuries of endless speculation. And so, having dwelt upon this particular point overlong, we realize there are 36 other fine chapters of her book that we are, for reasons of space limitations, leaving for exploration by you, The Reader. 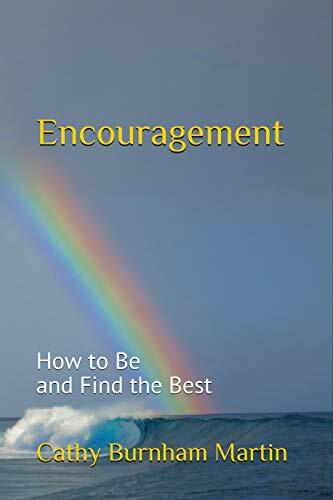 If It Works, Use It, receives our very highest rating of five-plus stars and stands far above the sometimes ubiquitous genre of Self-Help to rest comfortably with the likes of Eckhart Tolle’s The Power of Now. If you’re a seeker after inner peace, this is certainly a good place to start. 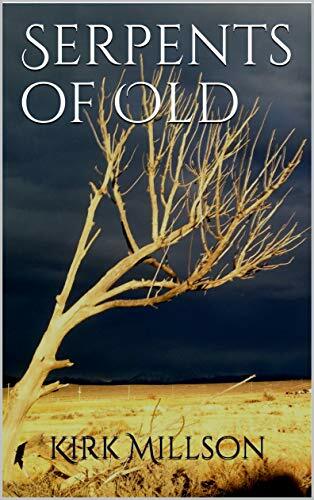 Serpents of Old is a novel steeped in Southwest atmosphere and mystery,. Author Kirk Millson’s familiarity with Arizona and Mexico’s byways (albeit now changed by growth and technology) lends a solid background to the evolving story of dogs, murder, and desert struggles when reporter Carter Miguel follows his nose for trouble from Arizona to Utah. A young mother vanishes during an Arizona hike; then her children also vanish from their Salt Lake City home. The father is suspect, but but Carter thinks a different story might be in play than the cut-and-dry case the investigating detective wants to slap on matters. Carter’s probe leads to a Utah community, a con artist whose latest deal is threatened by the reporter’s nosing around, and a dangerous truth that isn’t easy to come by, given the detective’s adversarial relationship with the determined reporter. 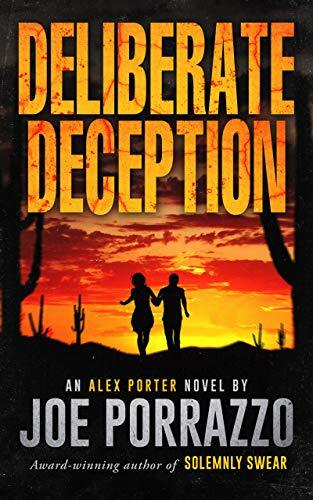 There are many angles that separate this southwest-steeped mystery from other genre reads to make it an exception to any formula approach. One of the strongest is this clash between investigators, and each’s special interest in the case. It turns out that Carter is not only reporting on a puzzle and trying to solve it, but has stirred up a virtual hornet’s nest of dangerous special interests in the process of doing his job. Another strong feature of Serpents of Old lies in its astute cross-cultural descriptions as Mexican soldiers encounter American investigators and escapees on the run from justice. There’s also an undercurrent of humor that runs through it, as when Tom discovers that his escape plane has been running on fumes, and that Pedro must leave him alone with it in search of gas, tamales, or tequila. The characters are solid enough to keep the story flowing, and but not too numerous, which makes it easy to follow the story line’s circuitous route through different perspectives and special interests. Who is pulling the strings behind an innocent man’s indictment for murder? How have the Atoners gotten a toehold in law enforcement circles, and how can romantic feelings between suspect Tom and Casey evolve in the crosshairs of a justice system gone wrong and a flight to freedom? As a teaser about one of the story’s underlying themes, dog lovers also are thrown a pleasantly unexpected bone. All these angles intersect to create a vivid story that will especially delight fans of Tony Hillerman and others interested in capturing the southwest landscape against the backdrop of murder, mystery, and struggles for justice. The Legacy and the Lion is the first book in the Yusan Chronicles, a military sci-fi story that holds a different atmosphere than most. It’s set in the future, but focuses on a primitive world of kings, horse-riding soldiers, murder plots, and power plays. 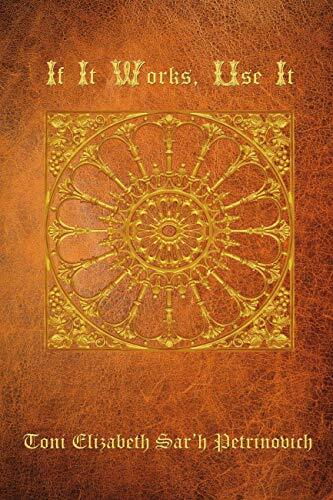 It actually reads more like a history of an ancient world than a chronicle of a futuristic one. In this setting, soldier Patrick seems to have no obvious connections after the death of his family. His introduction to a new post where political and social differences abound makes for an absorbing story of change, adaptation, different layers of political purpose, and angst. Those who anticipate a post-apocalyptic tale should be advised that, in many ways, The Legacy and the Lion focuses on military and political maneuvering as it follows Patrick’s entry into the alien (to him) society of Yusay and its very different approaches to life. The usual trappings of a survival story or new society’s evolution are largely set aside in favor of this focus on Patrick’s adaptation process as he creates a life in the kingdom which is to be his new home. It should also be noted that this is no light production. 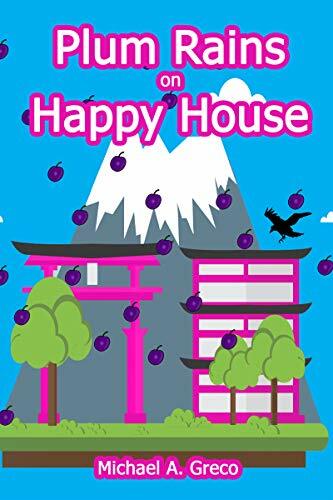 Elaine Jemmett takes the time to build her characters and the world in which they operate, resulting in a richer, fuller-bodied, less action-packed read than leisure readers usually receive. 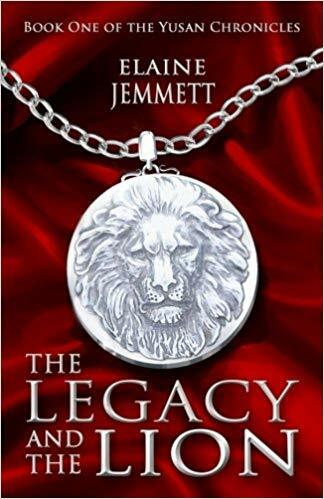 These notes aside, The Legacy and the Lion is simply outstanding in its world-building approach and its strong characters and their individual concerns. The central protagonist Patrick, who faces a new job, a king’s commands, mysteries and plots, and the changing political atmosphere of a society under siege, brings all these pieces together. As events move full circle into Patrick’s realizations about his own family ties, readers receive a satisfying, multifaceted story that is as much a mystery and political examination as it is the story of one man’s search for a new place and realizations in a futuristic world. It’s especially highly recommended for readers who like multi-volume series reads steeped in social, political, and military encounters. Step into a world where student pilots repeatedly overshoot runways, foreigners desperate for a pilot’s license are casually extorted for an upfront nonrefundable fee of $10,000. And their instructors are all so broke that they spray Windex on their dress shirts every day to avoid the expense of washing them. Is this comical fiction or appalling fact? Flight instructor-turned author Alex Stone isn’t saying for the record. But his hilarious look inside one hapless flight school employee’s life is enough to make you wonder if the skies above you are safe or if an incompetent student pilot isn’t about to suddenly nose dive into your house, killing your whole family in one spectacular, pyrotechnic event. It’s possible & even arguably probable if this book, with its memorable, offbeat characters and uneasy message are to be believed. But in the end, it’s probably just a harmless good read — something to curl up with by the fire and enjoy this winter, or throw in the beach hamper this summer. Wherever you read it, you won’t be disappointed. Stone delivers a solid, well-written narrative with an ensemble cast of fallible, believable players, like George, the perennial student who can’t seem to find the airport at which he’s supposed to land even when he’s flying right over it. Then there’s the beyond-weird father and his look-alike five-year-old son who show up for a demo ride, saluting and giggling right up to the moment he panics in-flight, seizing the controls in a dangerous death grip. And finally, running this sleazy fly-by-night flight school is Todd, the owner who would rather see one of his planes disappear with all hands on board so he can collect on insurance than perform anything like proper maintenance on his ratty fleet of Sixties-era aircraft. Yes, it’s a dysfunctional gathering of misfit students and desperate pilot instructors populating the pages of this rare glimpse into just how the pilot of your last commercial flight may have paid his or her dues down in the likes of this Florida flight school, where instructors are cheating death every day just trying to earn enough flight hours to move up one more level to a flying job that is more than a cut above the national poverty level. And while the text is often peppered with aviation terms familiar only to pilots, Stone does include a handy glossary in the back to help any bewildered readers sort it all out. But even without that, the book is carried along nicely by the diverting antics of students and management, and the lengths to which instructors must go to keep the whole enterprise afloat. 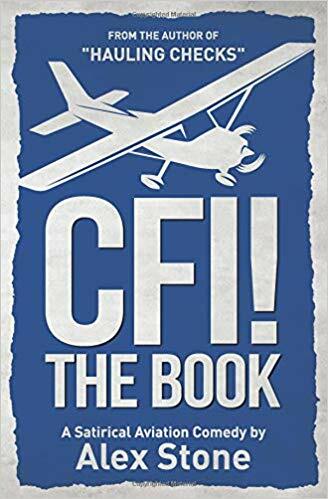 Five stars to CFI. It’s a heckuva good book — but don’t read it if you’re about to go up in a private plane. You might seriously wonder if you’ll ever come down again in one piece.